Children love animals especially the creepy crawly ones like snakes. What could be more interesting than snakes? Not only will your beginning students love playing this piece they will love learning all about this fascinating creature the Eastern Indigo Snake! Students who love snakes will enjoy playing this simple duet and learning about the Eastern Indigo Snake. 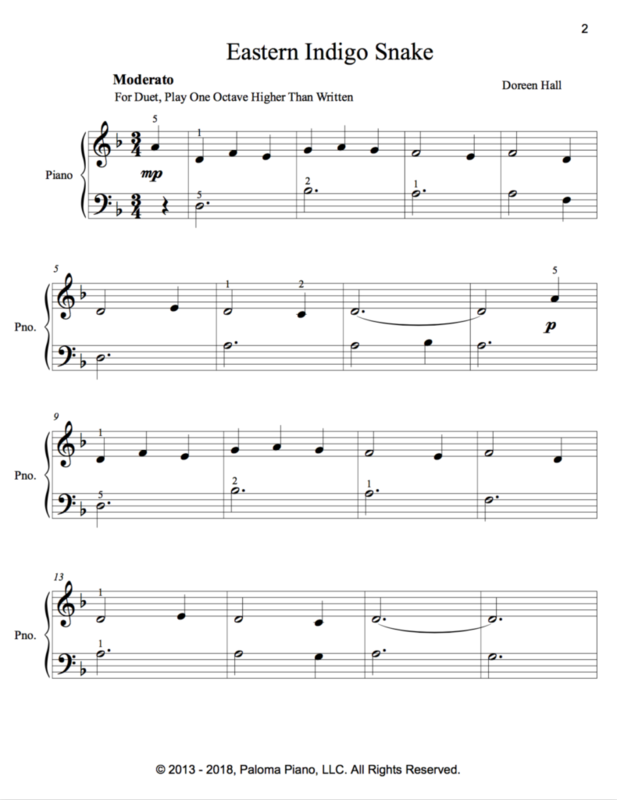 This piece can be played as written as a solo or Piano 1 can be played one octave higher than written for a duet. This is a great recital or festival piece. 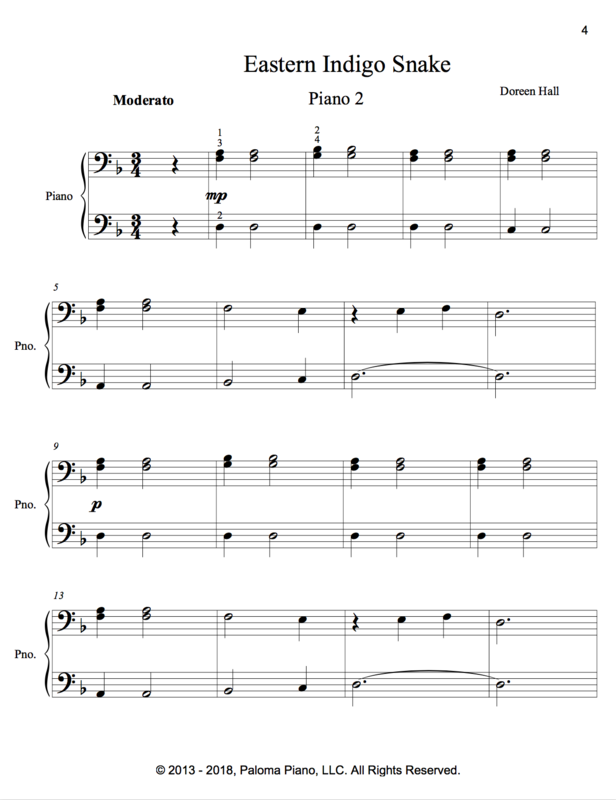 Check out all of our other beginning level pieces here.